The Mar is docked at the Queen's Landing Wharf on the Halifax waterfront. This tall ship, The Mar, is a beautiful sailing vessel. The ship sits at the harbour of downtown Halifax. The modern city of Halifax is a beautiful backdrop to the ship. Tall Ship Mar at the Queen's Landing Wharf in downtown Halifax, Halifax Metro, Halifax Harbour, Nova Scotia, Canada. 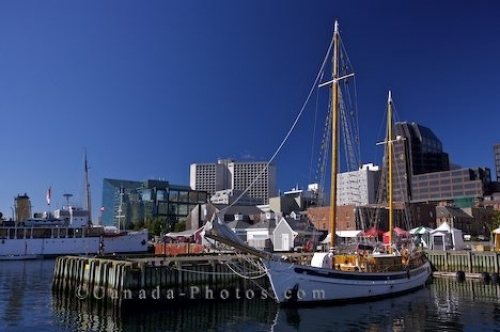 This tall ship, the Mar is docked at the Queen's Landing Wharf with a backdrop of downtown Halifax.